Frequency powers video distribution. Video producers use Frequency to manage, package and distribute their video around the world. TV, mobile and over-the-top operators use Frequency to bring hundreds of new channels to their platforms, and to create engaging new experiences for their viewers. Frequency Studio delivers a modern, powerful, and intuitive suite of tools to manage, package, and distribute content and metadata to video platforms. Studio includes a linear scheduling and playout system designed for next generation broadcast networks. Frequency works with the world’s leading TV and mobile video operators to bring new capabilities and programming to their platforms, including the best digital and traditional video networks. Frequency’s metadata and content intelligence engines let operators create new experiences for their viewers. 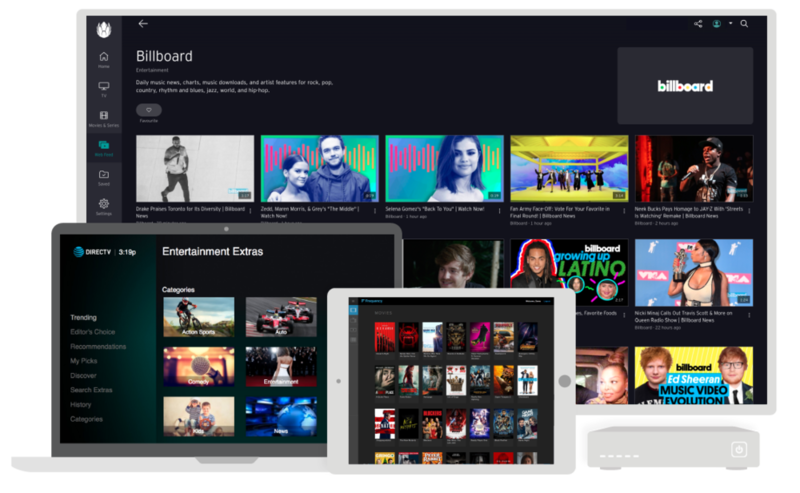 Learn more about how Frequency's programming and metadata power new consumer experiences. We look forward to speaking with you about your distribution needs.